For decades, David Clary has put his community first and has given so much to ORHS athletics. 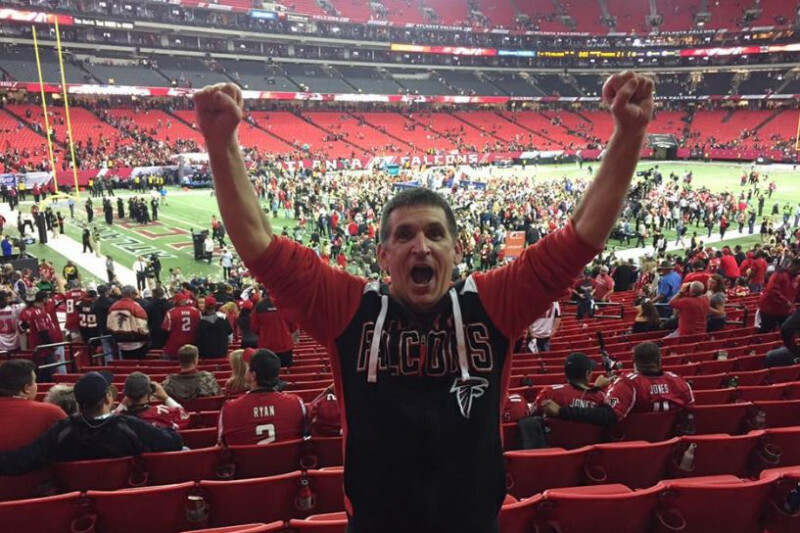 He is a lifelong Falcons fan and it's time for Dave's community to give something back. Let's send him to the Super Bowl! If Dave has ever done something nice for you (and he probably has), please contribute. Thanks! Any leftover funds will go into broadcasting the ORHS basketball tournaments. Roll Wildcats Roll! Update: David Clary now has a Super Bowl ticket! I can't believe all the support but I guess I shouldn't be surprised because Dave deserves it. Thanks everyone for contributing. Rise up and roll Wildcats roll! Everybody thanks for your support so far. We are getting close! We are starting to get some press about it. FYI, Dave has said any extra funds will go into broadcasting the ORHS basketball tournaments. The Leddens hope you have a wonderful time! Go David, and Go Falcons! Thank you for all that you do for ORHS athletics - especially the Lady Wildcats! Enjoy your trip!